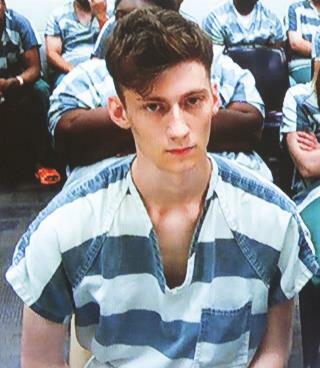 (Newser) – The teenager accused of killing three people at a house party near Seattle bought his AR-15-style rifle so recently he had to study the instruction manual before the rampage, police say. According to court documents, 19-year-old Allen Ivanov has told police that he bought the Ruger firearm just a week ago and carried out the shooting because he was angry that the "dream girl" he split up with two months ago didn't want to get back together with him, NBC News reports. Investigators say Ivanov has told them that on Friday night, he bought another magazine for the gun after leaving his job at an Apple Store early. He drove to the party in the suburb of Mukilteo around 10pm and looked through a window. After spotting his ex with another man, he returned to the car to study the rifle's instructions. Around midnight, he allegedly returned to the party and opened fire. The parents were too ignorant to teach the kid anything about the lumps we get on our heads as we navigate through life. It almost makes me consider eugenics. The victims are now part of the super minority of people killed by the AR-15 rifle. I could support raising the age of purchase to 21, but only if the combat age of our military is raised to 21 as well. honestly I don't think the psyche is ready for combat at 18. A lot of PTSD could be reduced or avoided by bumping the combat age up, just a bit. Training could still start at 17, and exceptions could be made if a major ww2 type ground war broke out. ...freakin obama and the BLM crowd caused this.... ...oh wait.. uhh.. ..he's just crazy/youll never stop a criminal/etc.